† Scott  lists Djibouti (Sc1, 1a, 2) under Somali Coast. Gibbons lists  both Obock (SG1-11) and Djibouti (SG83-85) under French Territory of the Afars and the Issas. 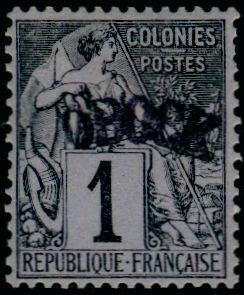 There is a detailed article on the geopolitical and philatelic development of this area in the Journal v10n3p1-3. 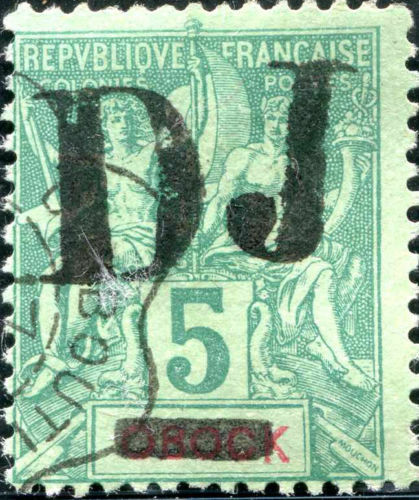 In summary, France bought the town of Obock and the surrounding area in 1857. 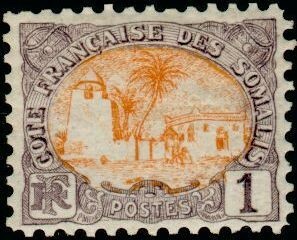 France established the French Somali Coast Protectorate (including Obock) in 1888 and also set up the town of Djibouti as its capital. 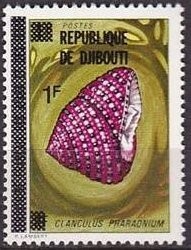 In 1902, stamps of Djibouti were replaced by those of the French Somali Coast. 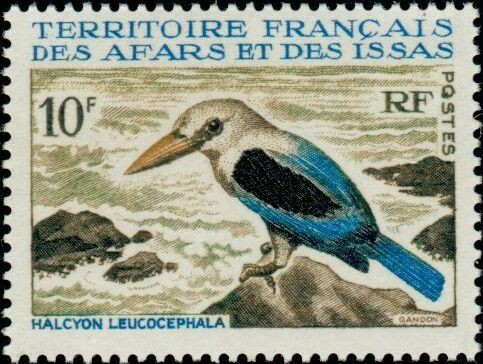 In a 1967 referendum, 60% of the population voted to retain an association with France, rather than independence, though the name was changed to Afars and Issas, the major tribes. 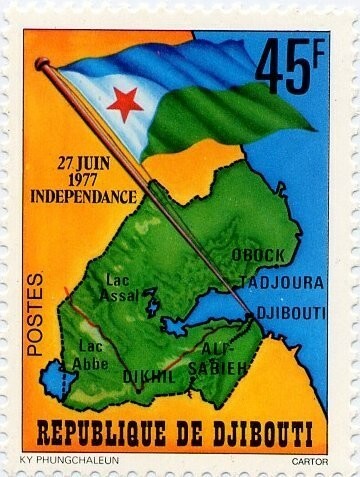 The Territory gained independence as the Republic of Djibouti in June 1977. Scott lists the overprints before the dedicated Independence issue, Gibbons the reverse. Sources: ScS , SGP6 , SGP12.